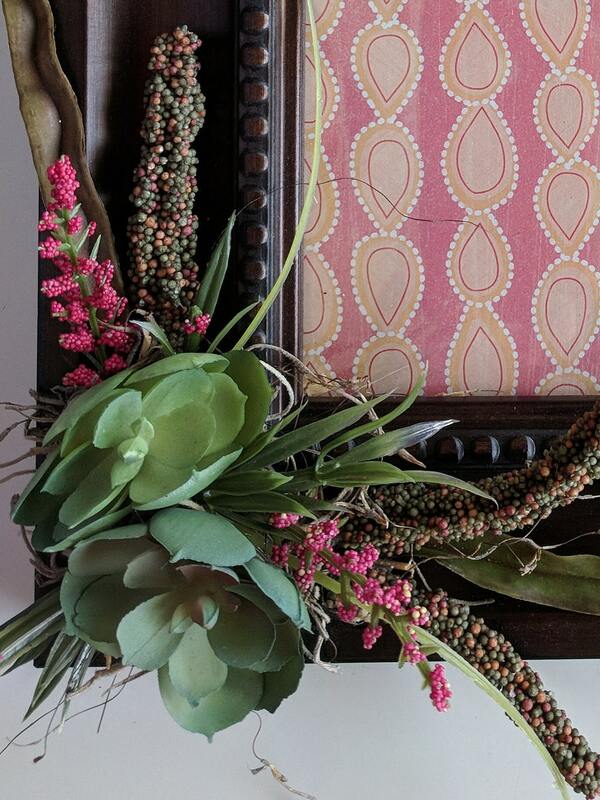 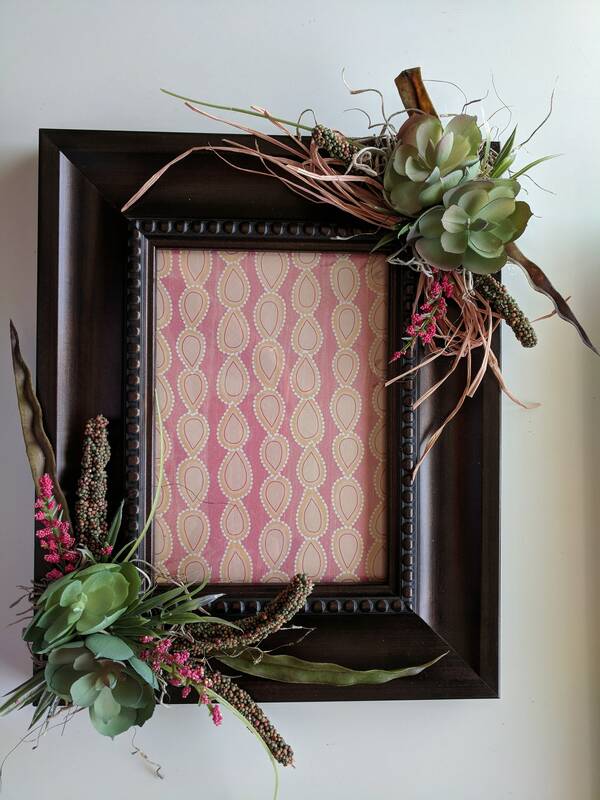 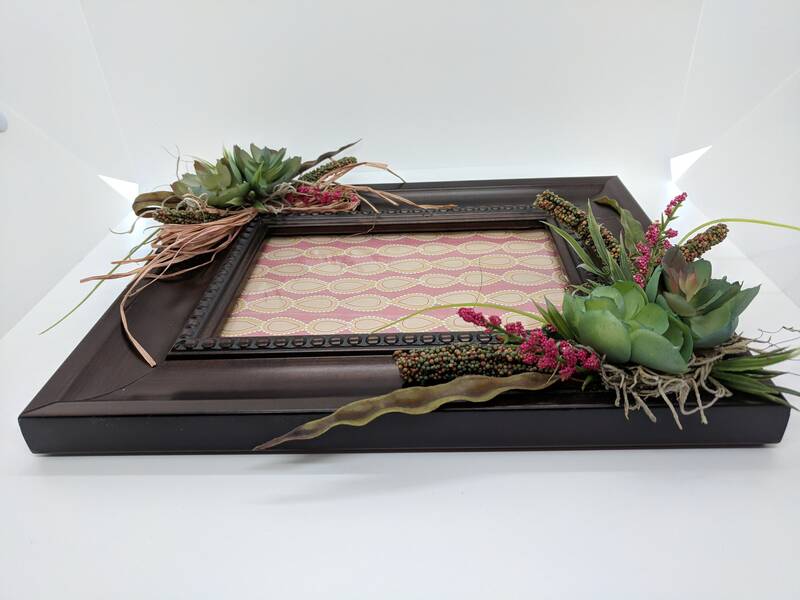 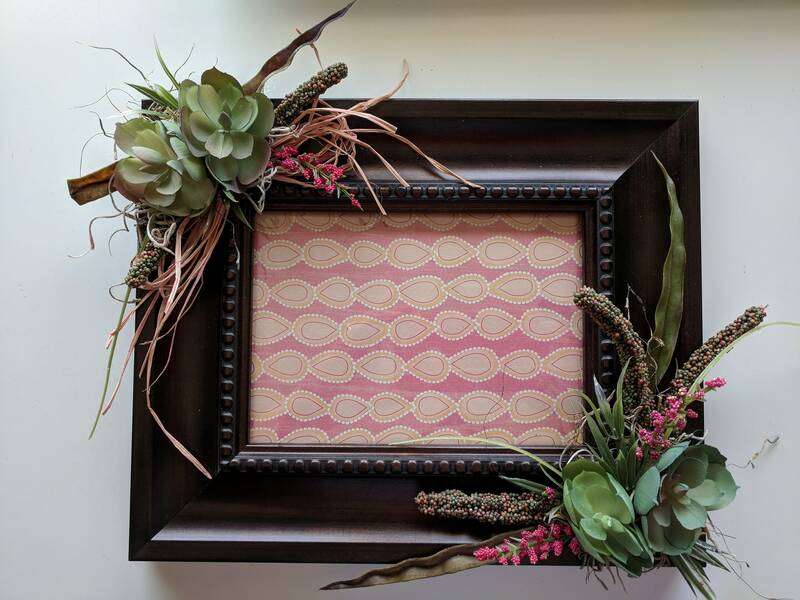 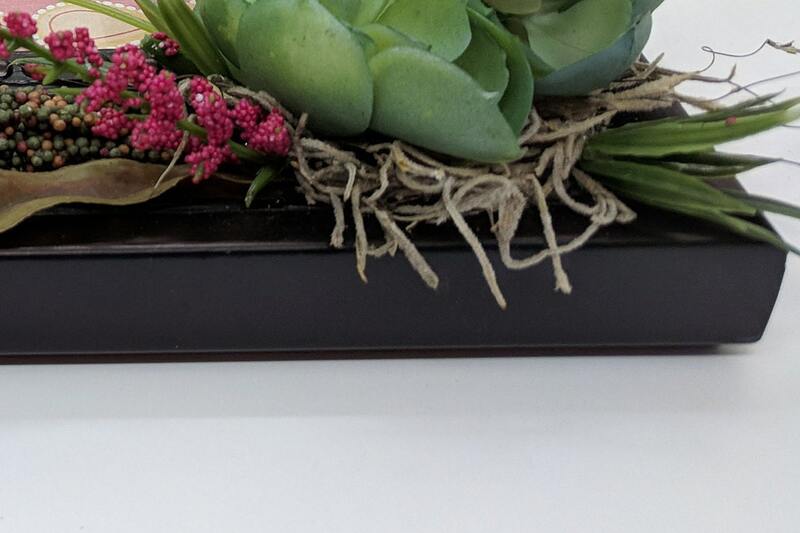 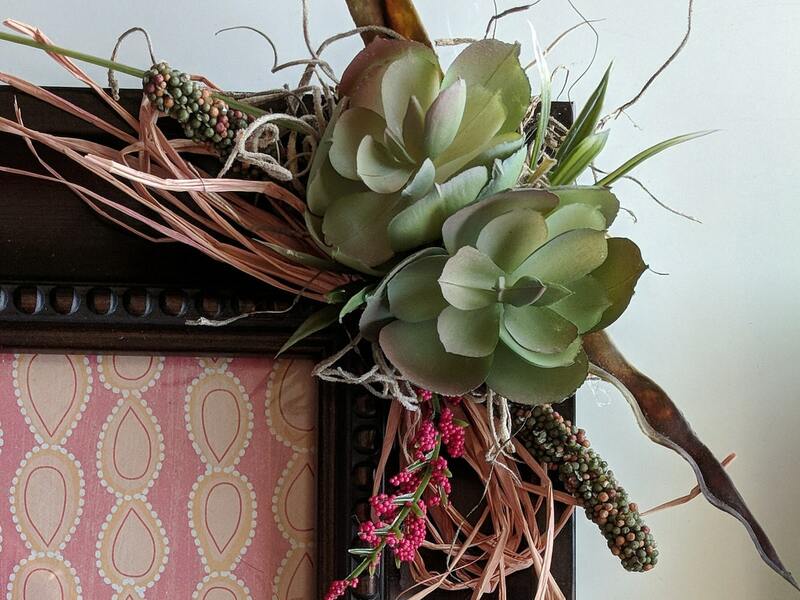 Wooden frame in bronze embellished with green succulents, raspberry heather silk flowers,spanish moss and peach raffia. 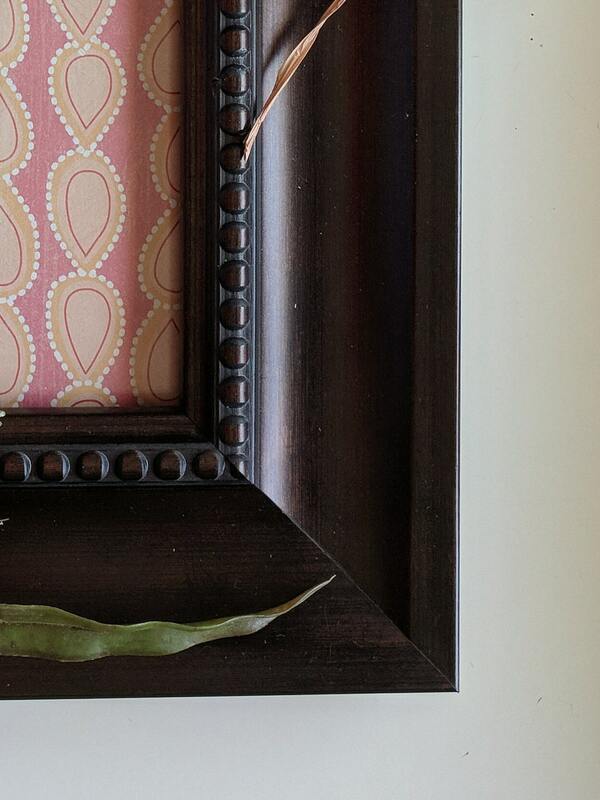 Glass insert to put your favorite picture into. 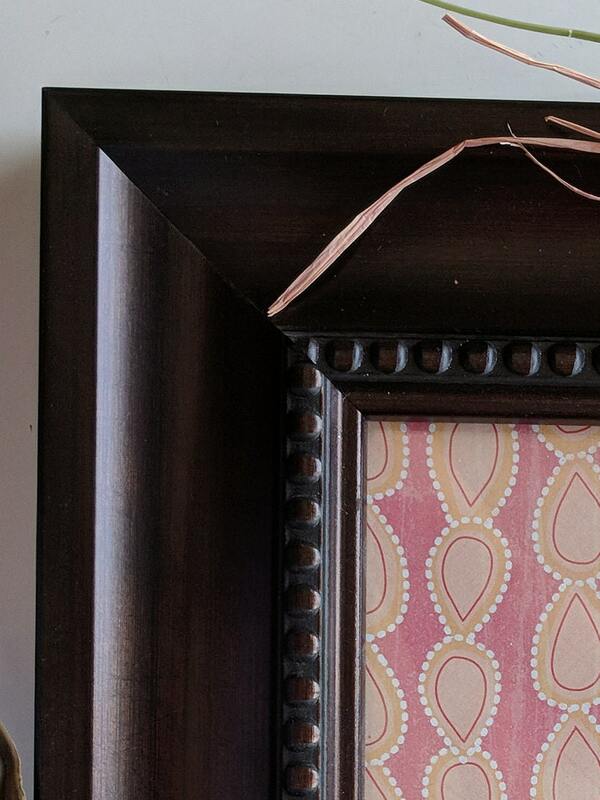 Finished size 9 x 11 x 2.5"